TV’s are getting cheaper and cheaper, but you shouldn’t grab the smallest, cheapest TV that you can find. If you’ve been waiting for a great TV deal, now’s your chance to buy an Insignia 39″ smart TV for just $149.99. Whether you’re trying to replace your old TVs or add some new TVs to your home, the Insignia 39″ smart TV is a great option. It’ has Amazon Fire and Alexa capabilities, so you can stream your favorite episodes of ‘Tidying Up’ without touching a remote. And since the Insignia is a cozy 39″, it’ll work perfectly in some of the spare rooms of your home. 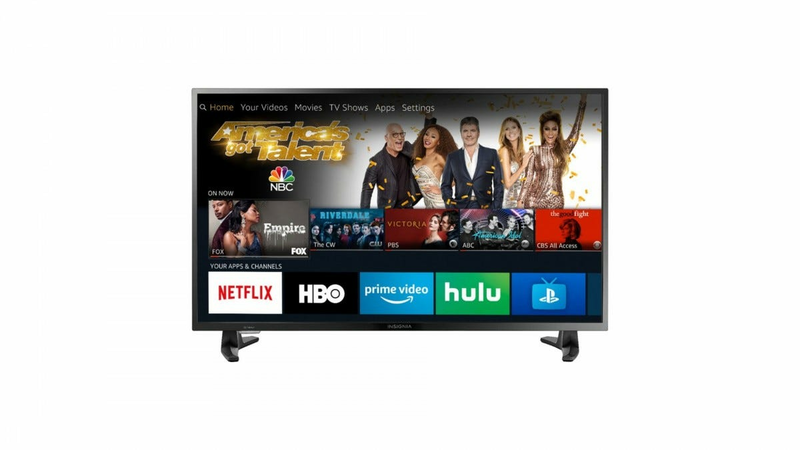 Best Buy is offering the Insignia 39″ smart TV for $149.99 right now, which is $100 less than the retail price. It’s their Deal of The Day, but it may sell out in a couple of hours, so you’ll have to think fast. If you want to save a little bit more money, you can always grab a 32″ Insignia smart TV from Best Buy $129.99. Just keep in mind that neither of these deals will last long, so you don’t want to spend too much time thinking about size.